Liverpool travel to Serbia to face Red Star Belgrade looking to earn themselves a win that will see the Reds within touching distance of the knockout faces of the competition. Liverpool travel to Serbia to face Red Star Belgrade knowing another victory against the Serbian champions will see them take a giant step towards the Champions League knockout stages. Jürgen Klopp's side sit top of Group C after the Reds thrashed Red Star 4-0 at Anfield back in October. However, Liverpool will know that three points on Tuesday evening is a must with Napoli and Paris Saint Germain still breathing down their necks. With PSG still to play at the Parc des Princes and Napoli awaiting a visit still to Merseyside, the Reds cannot afford to drop points against bottom of the pile Belgrade who are still yet to win in the competition this season. 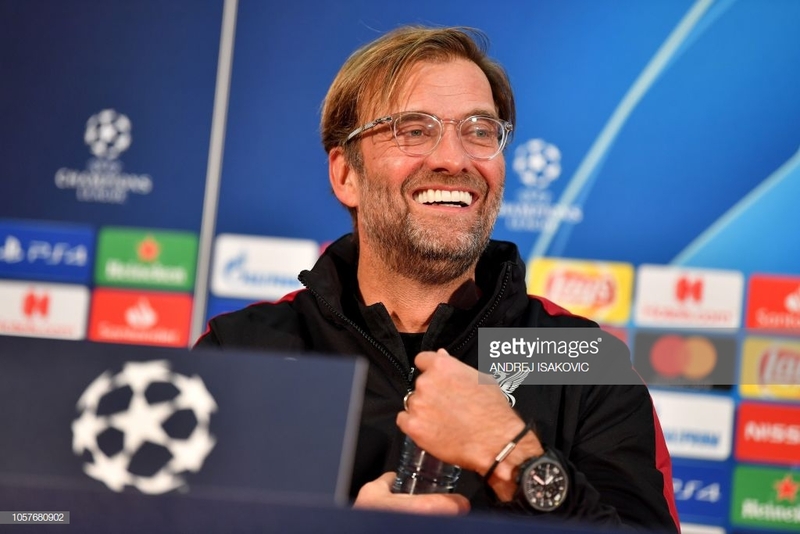 Klopp: "We are here to play football"
Liverpool's German manager confirmed that Xherdan Shaqiri will not be in the squad as the club look to avoid "any distractions" in the Serbian capital. Kosovo declared independence from Serbia in 2008 - a move that remains the subject of dispute. Kosovo-born Shaqiri caused disturbance between the two nations regarding his heritage during a World Cup meeting between his adopted country Switzerland and Serbia this summer. The former Stoke City forward who wore boots bearing a Kosovan flag, celebrated a goal scored in a 2-1 win with an ‘eagle’ gesture - which symbolised a nod to the Albanian heritage of a large number of Kosovans. Klopp on Shaqiri: "A lot of times in my life I make decisions about playing squads and they accept it. There is a statement on our website which everyone can read. We are here to play football and that's what we want to focus on. "We are keen to be respectful and keen to avoid any distractions that would take focus away from a 90-minute-plus contest that is important for football and only football. Red Star Belgrade boss Vladan Milojevic has warned Liverpool that the Marakana Stadium won't be a "pleasant" environment for Tuesday's Champions League Group C clash. A 50,000-strong sell-out crowd will create an intimidating and hostile atmosphere for Klopp's side. Red Star held Napoli to a goalless draw in their last European home game and Milojevic believes their supporters will have a big part to play once again. "This is a big event for Red Star, for Belgrade, for Serbia, and the whole region," he said. "One of the biggest clubs in the world are coming and it is going to be a spectacle. Liverpool are favourites, we know that we are in a tough group, but we are going to give our best. We'll see if that is enough. "Everyone knows what it means to play at Marakana. Nobody feels pleasant as a guest here. I think that Liverpool will be fascinated too. We were on Anfield but that is far from the cheering and the noise here. "We are in the group with teams that are fighting for the Champions League trophy. We'll fight for every ball and won't think about the score. We can do much better than we did in the previous two matches." Shaqiri is the obvious absentee that is dominating the headlines; however, the Reds will still be without some other integral members of the sqaud. Captain Jordan Henderson remains sidelined for the match with a hamstring injury, although Naby Keita has been included in the squad and could feature following a similar problem. Dejan Lovren will also travel to Serbia after missing the weekend draw with a muscle injury, while James Milner has shaken off a facial injury he suffered against Arsenal. Nathaniel Clyne is still suffering from illness, though, while Alex Oxlade-Chamberlain is another long-term absentee who will definitely not be included. Red Star, meanwhile, are still expected to be without captain Vujadin Savic, who was an unused sub at Anfield but has not featured since being taken off at half-time against PSG.